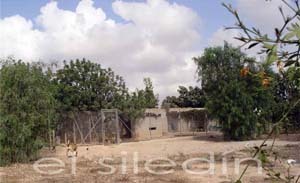 The Siledin kennel is located in Torre Pacheco, at 8 kms from the Mar Menor, in the province of Murcia. 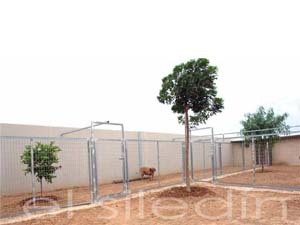 Besides at our own kennels, - designed with ample and comfortable parks surrounded by trees -, some of our dogs have been placed with families of friends and people of our confidence. We have followed this method traditionally, with the finality of being able to offer our dogs the possibility of sharing a family life, thus, having a personalized attention as often as possible. Our breeding program has been, mainly based, on the importing of dogs from the best and oldest breed lines of Brasil, originated in Minas Gerais, making our breed line selection following the most outstanding controls, as far as type, health and temperament are concerned. We have been, for many years now, x-ray rating all our dogs (males and females), for hip and elbow dysplasia, and since 2007, year in which AVEPA, (Association of Spanish Veterinarians Specialist in Small Animals), started and official program for reading the X-ray rated elbow dysplasia. And we have asked this Organisation to check the elbows of all our stud specimens. Next step started in 2008 has been the DNA control in all our studs, males and females. We also check on the psychical characteristics with test, evaluated by professionals, prior to mate any of our stud animals. 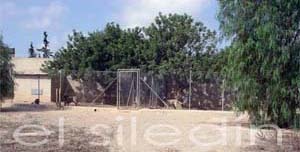 These tests are meant to evaluate not only the guard and defense ability, but also their nerve system, the lack of evil reactions provoked by fear, their ability to cope with unfamiliar situations, etc……….. It is our quest to maintain, to the best of our knowledge, the authentic an rustic Brasilian Fila dog, with its ancestral qualities for guarding and its typical breed’s characteristics, keeping always in mind its health and functionality, and we always act trying to achieve this goal. Since 1990 we are exclusivity attached to the Brasilian Fila, breed that, even though we are not maintaining an intense Show dedication, at the moment we have obtained 145 champions in World, European, Panamerican, International, National Dog Shows in different Countries, as well as many Best in Show in Special Moloser Championships and many Best of Breed in Brasilian Fila’s Monographic Shows held in Spain and Europe, judged by Specialist Judges of CAFIB - Brasil. 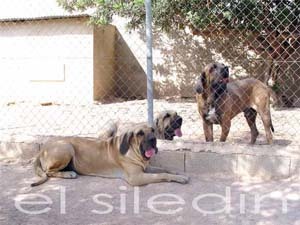 Our Filas’ line has been the foundation, and/or, is present in many of the kennels of this breed, not only in Spain, but also abroad. But, as important as those dogs that have been champions, winners of many Dog Show, or outstanding studs all the world wide are, the many others puppies born in our house and, that has not been so famous but that have fulfil their duties with dedication and courage, being guards, companions and true friends of their owners. To all those owners, we hereby, wish to give them our thanks for the confidence and trustfulness that they placed in The Siledin and all the petting they gave to all our dogs.